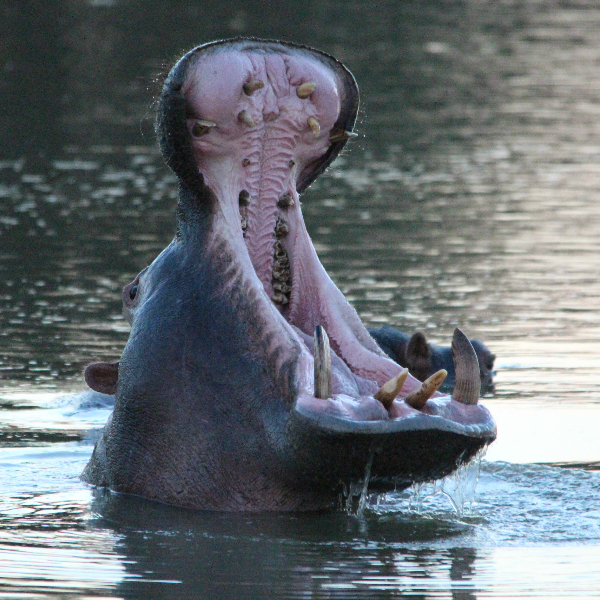 Get the most out of your African Safari at our Lodge. 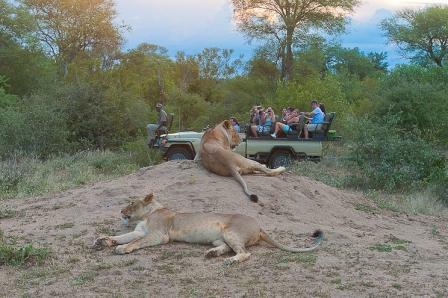 Enjoy amazing close up encounters with Big Game, without forgetting the birds and the rest of our unspoiled natural environment. Your Ranger and Tracker are a close-knit team, who will track down everything of interest, astounding you with their bushcraft and skills. 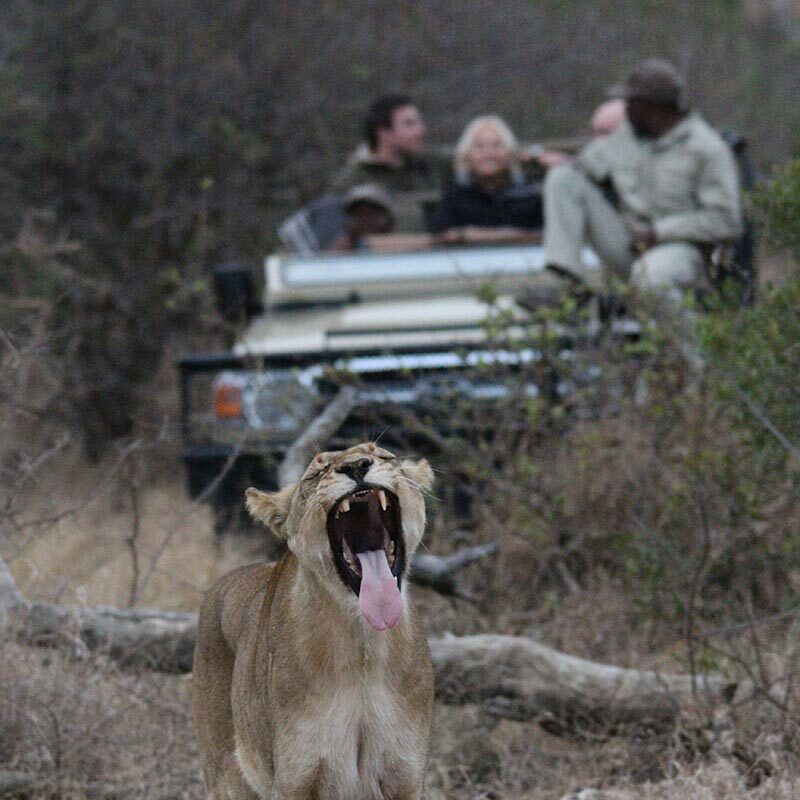 The photographic opportunities are exceptional as animals allow the vehicles to come in close range. 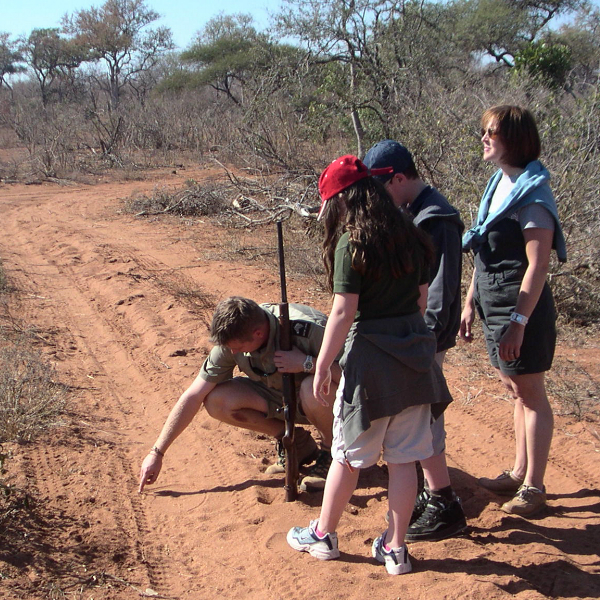 Take part in a game walk to discover more about our intricate ecosystems. Your Guide is an expert on the medicinal uses of plants, or the local fables surrounding the smallest of beasts. Your day at the Lodge may be spent soaking up the sun around the pool or catching up on a few chapters of your book from the comfort of a hammock. 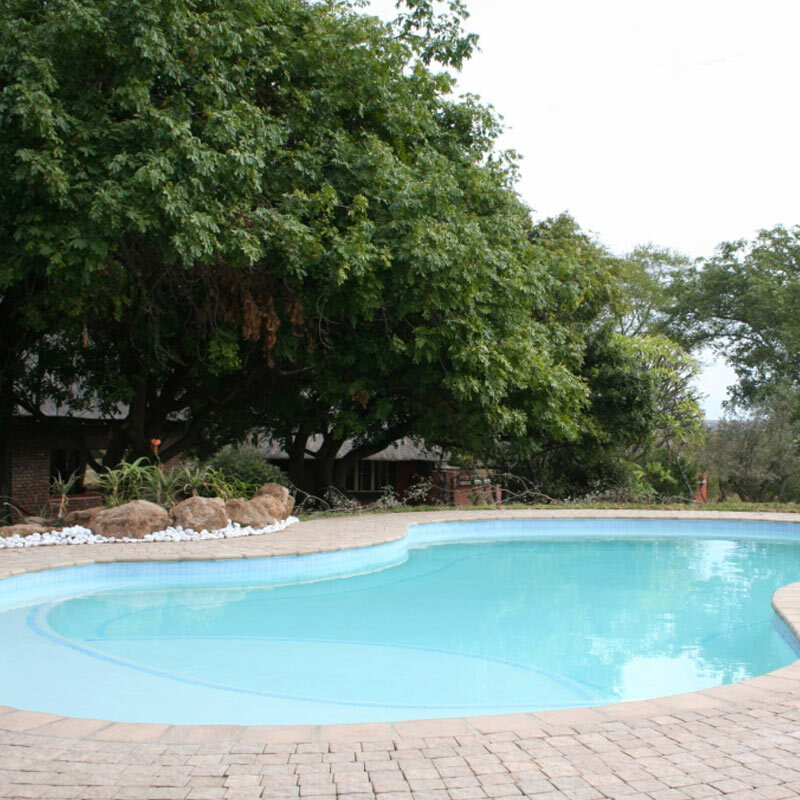 Or take our advise and enjoy a chilled cocktail in the shade of a leafy tree while keeping an eye on the waterhole and the bush inhabitants stopping by to slake their own thirst. Evenings are convivial, warmed by the glow of an African campfire. 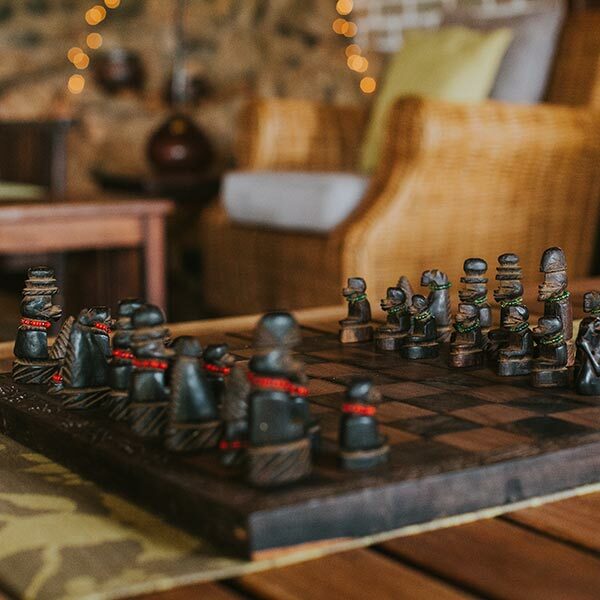 The Boma is the ideal venue to reminisce over the day’s adventures and enjoy fine meals and wine in the company of your Hosts and fellow guests. You may even wish to explore further afield – a Panorama Tour to view the Drakensberg Mountains and the spectacular Blyde River Canyon. A sunrise Balloon Safari requires an early start – but is well worth it, and the local Shangaan Cultural Village welcomes visitors with open arms. There is so much to discover in our wonderful country!